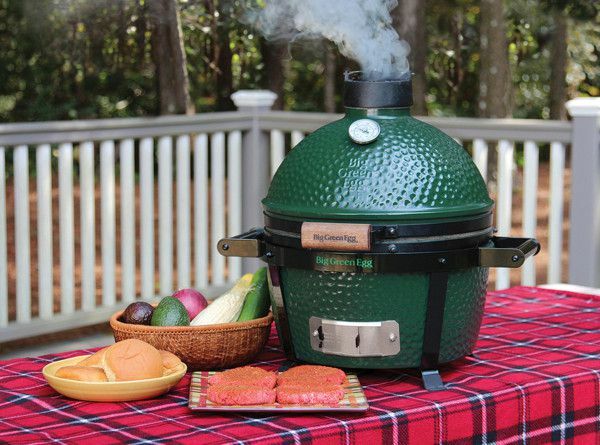 The all new MiniMax from Big Green Egg is making the “Ultimate Cooking Experience” more versatile than every before. This is the first Egg to be designed for transportation. It is sold with a durable, two handle carrier, making it great for camping, poolside, and tailgating at the next ballgame! The MiniMax offers you the same size cooking surface as the small Egg (13″ in diameter), but with less unnecessary bulk and convenient carry handles. It is still constructed from the same ultra high-quality ceramics as the other Egg sizes and comes with the same best-in-class limited lifetime warranty. The MiniMax cooking surface is 133 sq in, which is large enough for 4 burgers, 1 chicken (vertically), 2 steaks, 1 rack of ribs, or up to a 12 lb turkey. 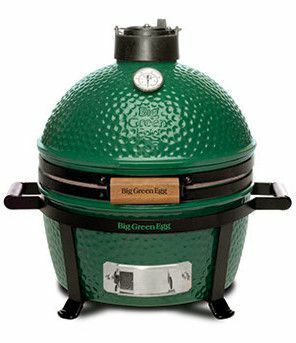 Even though the MiniMax is a shorter grill than other Big Green Eggs cookers, an ConvEGGtor (for creating indirect heat necessary for low and slow cooking) as well as a baking stone and drip pans are still available for this grill. Stop in and see the MiniMax as well as all of it’s older relatives. The Medium, Large, and X-Large Eggs are in-stock and on display all year round!